The FitBit Ultra is a largely unremarkable device, and we think it's pretty expensive for what is really just a digital pedometer. However, once combined with the FitBit Web site, it serves as a great motivational tool to help you become more active. The FitBit Ultra doesn't help you lose weight, but will certainly get you motivated to try. Fitness gadgets are a popular use of today's technology and the FitBit Ultra is a great example. 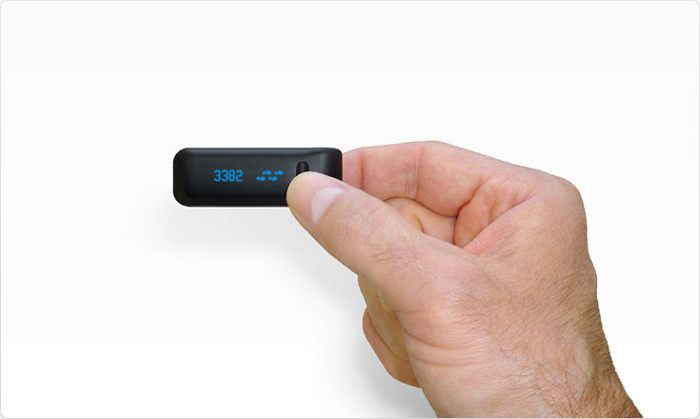 A simple digital pedometer that counts your steps, the FitBit Ultra is a largely unremarkable device until it's paired with the FitBit website to track and calculate a range of data. The FitBit Ultra won't directly help you lose weight or get fit, but it will help get you motivated to do so. The FitBit Ultra is a compact device that's about the same size as a USB key. It's designed to clip to your clothing: it comfortably clips onto a pair of pants or a belt and it can even be kept in your pocket. The FitBit Ultra is so small and light that we barely even noticed we were wearing it all day. FitBit suggests the device is best worn on a waistband, a belt or in a pocket and says women can wear it on their bra. For thicker belts, FitBit includes a plastic belt holster in the package that will more effectively secure the device. The FitBit Ultra is simple to operate and only has one button, which is used to cycle through its small OLED display. Pressing the button will display how many steps you've taken, how many kilometers you've walked, how many calories you've burned, and how many sets of stairs you've climbed. The device also displays the current time and shows a "recent activity level" in the form of a flower — if the flower is short, you've been inactive recently. The more steps you take (and hence the more active you are) the longer the flower grows. The idea is to keep the flower tall by keeping active: it may sound like a gimmick, but it quickly becomes a great motivational tool. The FitBit Ultra really comes into its own when its synchronised with the FitBit.com Web site. You can manually synchronise the FitBit by placing the device on the included base station charger, but if you keep the base station plugged into your computer, the FitBit will sync whenever you're within 15 metres of the dock and relatively inactive (if you're sitting at your computer, for example). Syncronising worked without issues during our testing and the device can be used with either a PC or a Mac. If you have multiple FitBit users in your house, a single FitBit base station will sync multiple FitBit devices.